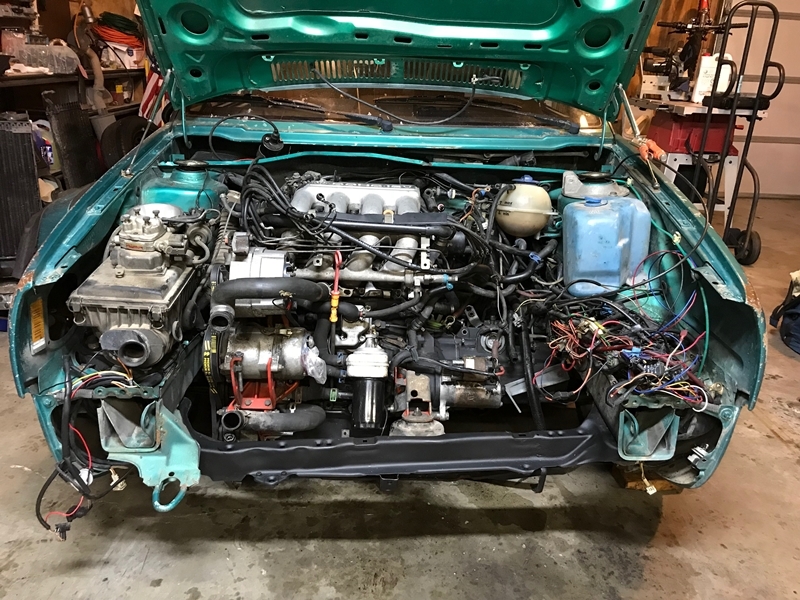 Got the 16v installed and the motor mounts all torqued down. 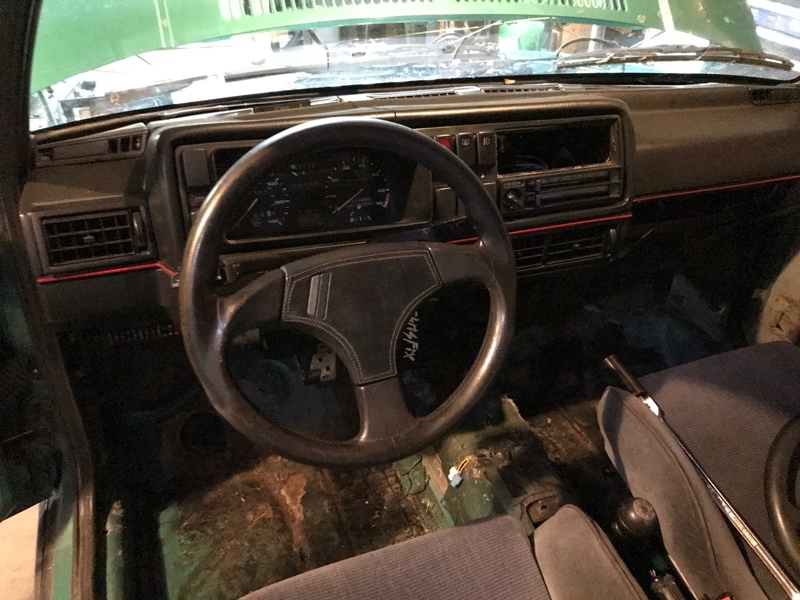 I replaced the hockey puck front mount with a real OEM mount, and began to sort out what needs to go where. Got a few things connected, and then called it a night. Today I pulled the steering wheel and picked up some tools to pull the large spine adapter. One that was off I installed the new wheel. Cleaned up the plastic column shroud and buttoned everything up until later. 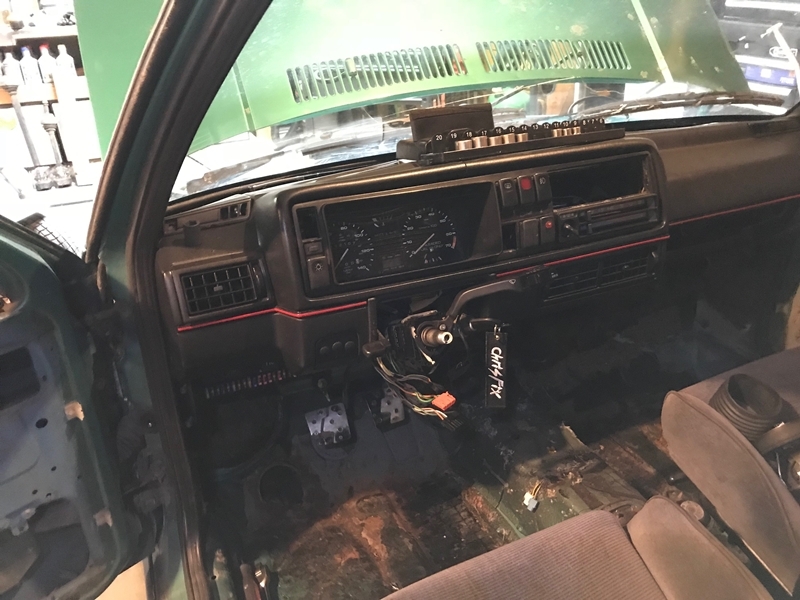 Cleaned up the cluster surround, swapped in the working brake indicator assembly, put in the blanks to fill in the open spots on the switch cluster.